Those who opt for a Bharat Fiber connection will get data and Wi-Fi connection, which will provide sufficient data for use by an entire family, said the report, adding that they will be able to consume as much as 35GB of data per day with prices as low as Rs 1.1 per GB. NEW DELHI – Taking on Jio GigaFiber service, Bharat Sanchar Nigam Limited (BSNL) has unveiled the Bharat Fiber high-speed data Fiber to the home (FTTH) service in India, thereby ending long wait of its subscribers to enjoy benefits of high-speed fibre-based broadband services, called Bharat Fiber. This service will facilitate subscribers high speed, high volume data for seamless entertainment, browsing, video streaming gaming, and other benefits, said a TelecomTalk report. Earlier, the state-owned telecom operator has made an announcement in this regard. He further told TelecomTalk that the Bharat Fiber would be able to cater to consumers’ demand for data at high speeds, adding that the service will be affordably priced for them. Notably, BSNL has announced that the bookings for Bharat Fiber have already started on its portal. The company representatives told TelecomTalk that the launch of Bharat Fiber orients with the Digital India mission, and it would help the centre in connecting maximum homes in the country with the internet. 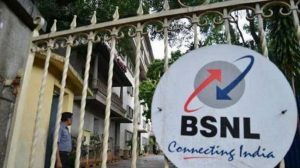 Vivek Banzal was further quoted as saying that BSNL maintains transparency in billing and shares complete details and information with the customers, and added that the telco is now sharing regular security and regulatory information with the consumers as well. Notably, the government has already chalked out a plan to connect 1.25 lakh Gram Panchayats via its broadband service, Bharat Net. Meanwhile, BSNL has also decided to launch 4G service in Bihar by the end of this month. The 4G service would be launched on 3G spectrum in 40 cities and towns of Bihar by the end of this month, Bihar Circle, Patna Chief General Manager G C Srivastava told PTI on Friday. “Though, we have not got 4G spectrum to start this service but we will be launching 4G services in Bihar on existing 3G spectrum. We will first launch the 4G services in Nawada, Jehanabad and Ara (Bhojpur) by the end of this month and then it will spread to other areas,” Srivastava added.